World in Motion: BAF Nominee: Traffic slow enough to solve this? BAF Nominee: Traffic slow enough to solve this? A very clever Ad from Airtrain. Why sit in traffic when you could take the train and be stress free? 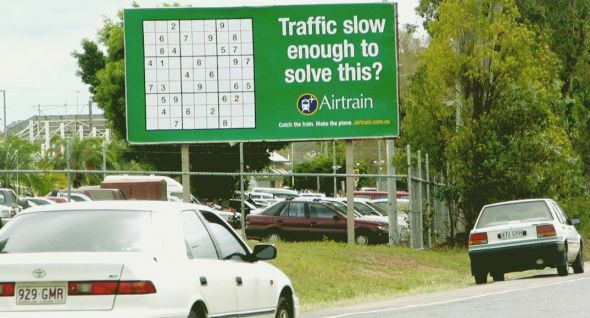 Then again, if you do decide to drive, Airtrain will still take care of you and let you play a game while you sit in traffic! On a side note, I'm awful at Sudoku, why don't you give this puzzle a go! I like the map that shows you how much CO2 you save depending on your starting location!